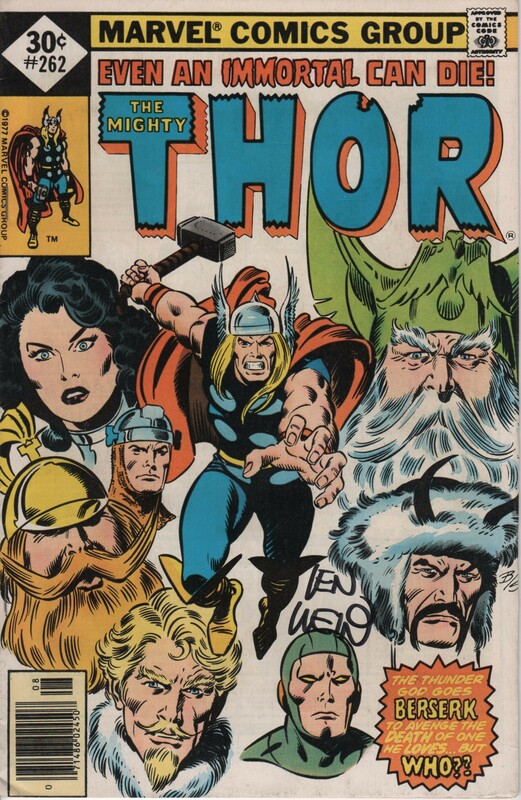 Thor #262, 1977. “Even An Immortal Can Die” | Magazines and Monsters! It’s always great when you have the opportunity to meet your favorite creators and are able to have them autograph their work. I’ve never had the opportunity to meet Len Wein, but he is definitely a great writer. I liked his work on Incredible Hulk and the early issues of the All New, All Different X-Men that he co-created with dave Cockrum.